An award winning Brisbane based musician and composer, John is becoming well known for his eclectic performance and writing style. His composition work traverses diverse genres and instrumentations drawing from jazz, classical, funk, electro/acoustic, cabaret and the murky spaces between. He is a founding member of the group Trichotomy (formerly Misinterprotato). During the group’s 15 year history they have recorded six internationally acclaimed albums and continue to tour and collaborate interstate and globally. John recently received 3rd place in Audio Technology Magazine’s Remix Competition (2014), 3rd place in Percussive Arts Society’s (PAS) Solo Marimba Composition Competition (2012), finalist in the “Freedman Jazz Fellowship” (2011), currently lectures in Jazz Drums at the Queensland Conservatorium and teaches Percussion and Drum kit at Marist College in Brisbane. 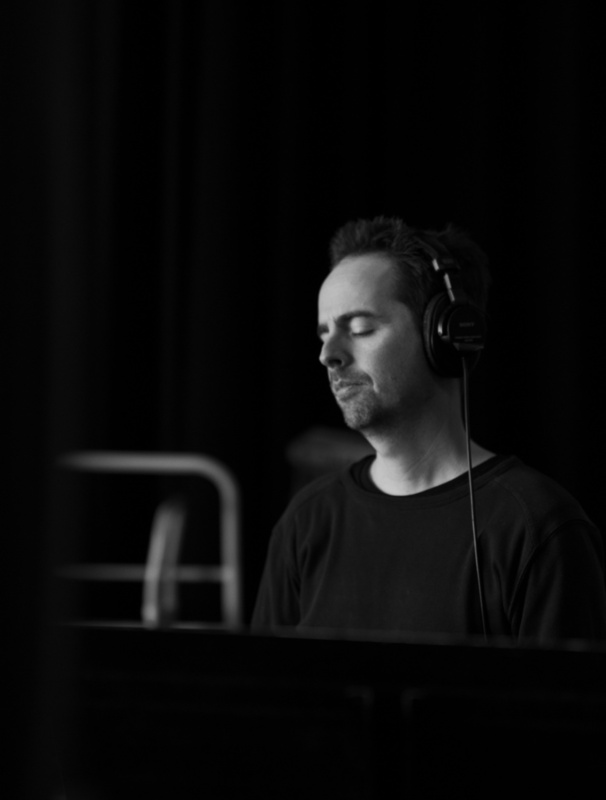 The co-founder of the online music publisher “Prepared Sounds”, John has received several commissions for percussion works and his pieces have been performed around the world. John Parker's new work Metropolis Vignettes was premiered in PLEXUS: Pulsations on 11 May 2016 at the Salon, Melbourne Recital Centre. I was very honoured to be commissioned by Plexus to compose a work for this concert. Metropolis Vignettes sprang from the idea of cities and what they might mean to the people who inhabit them. What defines a city? What makes a city good or bad? How do the various interconnected and sometimes vastly different elements combine to create what we think of as a city? I mused on some characteristic themes; architecture, land marks, transport and gathering places to name a few, yet quickly turned my focus to more esoteric glimpses of what a city might look and feel like. Soon I set out to compose emotive segments that aimed to steer away from being too prescriptive. I hoped the performers and audience would draw their own narrative from the piece. Seemingly disparate ideas sprang forth. I thought about the millions of kilometres of wires and pipes connecting the metropolis in an often unseen way. And what happens when all of these systems we depend on are pushed to their limits or even break down. The pervasive and ever present advertising, radio waves, wifi signals and satellite transmissions. The street artist reinterpreting their often bleak surrounds. The skateboarder who re-imagines this concrete jungle into their own personal fun park. Long train commutes featuring the headphone clad business people zoning out to their own lives’ soundtracks. The reflections of light upon looming buildings. The hustle and bustle of peak hour. Winding streets and scattered places of revered greenery. Rain on neon signs and late night jam sessions in shady neighbourhoods. Not all parts of the city are safe. And finally the most important element of every city. Its people and how they interact with their environment for better or worse. It's how you see the city that really matters.